Finally! I have completed another step in my coat nook. I first started posting about this problem area right at the beginning of my blogging as I described my mitten dilemma. It has taken years but the functioning of this area has improved dramatically and it really didn't cost much or take much time. 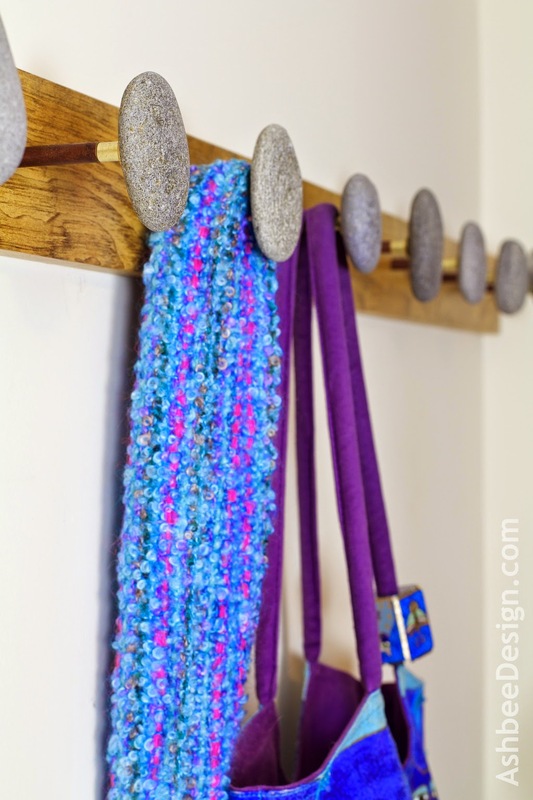 The latest addition has been stone coat hooks. I had successfully solved the mitten problem with the ladder of baskets but we were still using a coat tree in the corner. 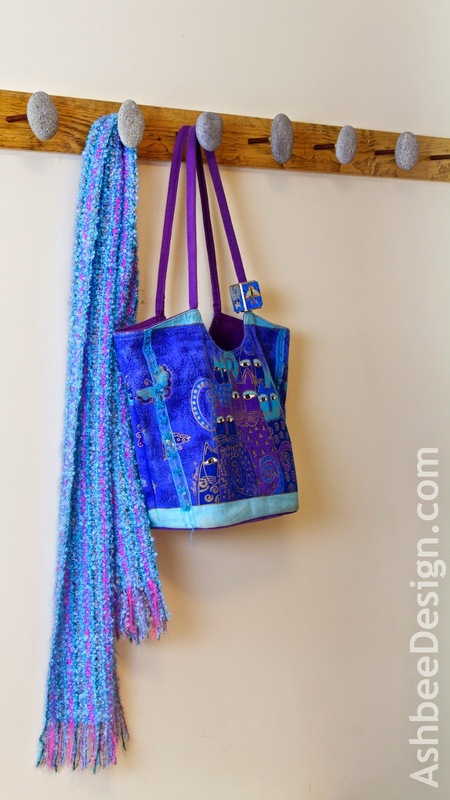 Even though it was a beautiful handcrafted coat tree, the spacing was too tight and it didn't function well. 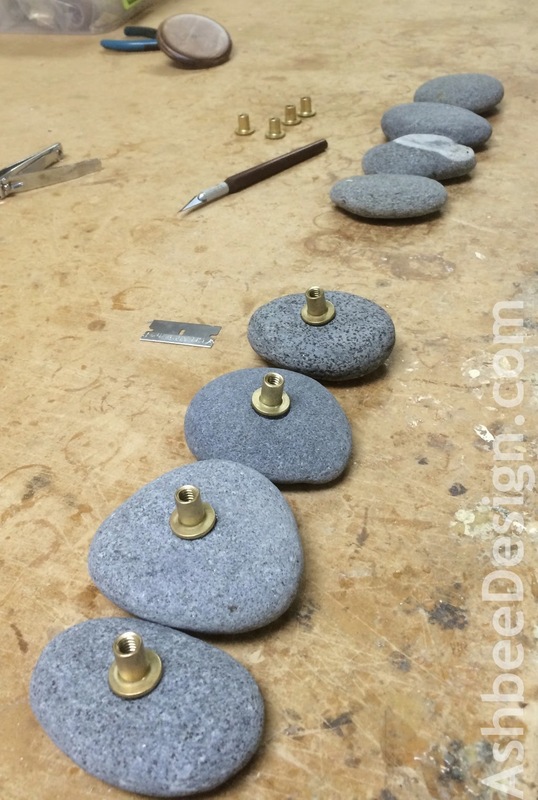 The coat tree was moved to David's studio and we made a series of coat hooks from smooth ocean stones we'd collected from the Rhode Island shore. This isn't an original idea but it is a perfect one for our home which combines nature with the decor in many interesting ways. This was just a natural addition. I epoxied a T nut on the back of each rock and screwed them onto their matching bolt inserted through piece of clear pine. And I am thrilled with how much better the space functions. Now that the coat tree is out of the corner, I can center the mitten/hat ladder. Its side hooks work wonderfully for David's hat collection. 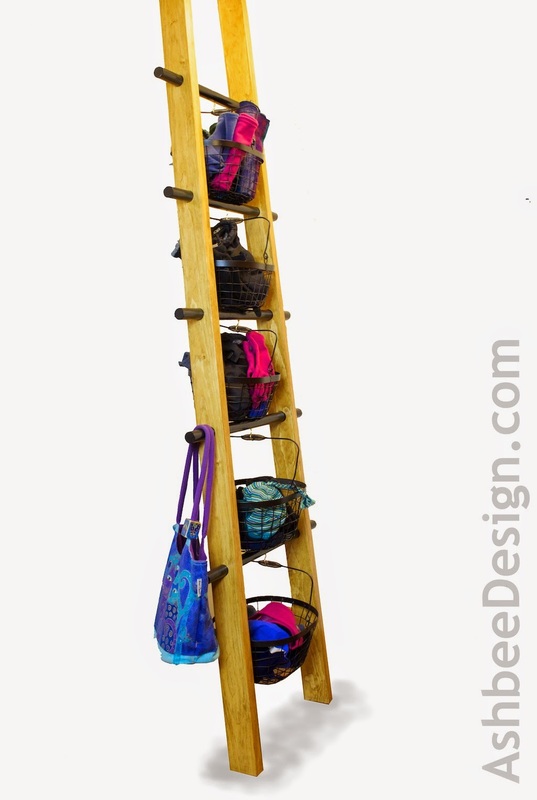 We have been using the mitten ladder for a year now. (Construction post here). 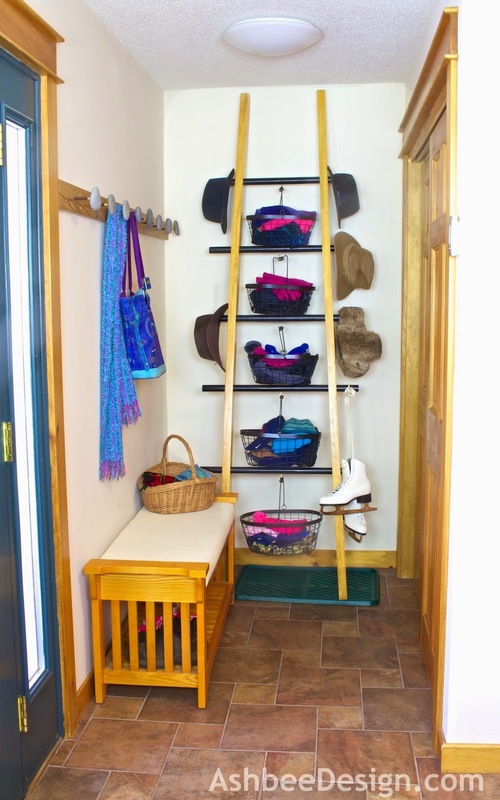 It has been an excellent solution to storing and finding mittens, gloves and knit hats. One of the critical design elements is that the baskets are wire mesh so at a glance, you can see what is in the basket without having to dig through. And it is easy to put your gloves away right as you take them off. Still need to cover the white cushion on the bench. Always another thing on the to-do list!